Just a reminder that as of last summer we started running road cycling holidays here in Zakopane, allowing you to visit this beautiful part of the world and enjoy the stunning scenery on offer during the warmer months of the year for those who are not so keen on the cold and skiing! We will again be running a couple of these cycling trips later this summer with the aim of offering them more regularly throughout spring/summer 2018. 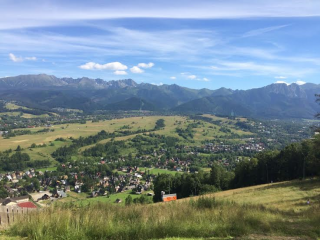 If you’re a keen cyclist or just generally interested in visiting Southern Poland in the summer months then keep an eye out for further news and holiday ideas for next year in Zakopane. Despite the fact we’ve still got a good few weeks of skiing left in winter 2016/17, we’re getting lots of early bookings coming in for next winter already. It may seem daft to say so, but now is the best time to book ski packages for the busiest weeks of next winter. We’re already close to being booked out for the New Year week and the February school holidays next year are starting to take shape already! We’ve only just stopped thinking about kids and family ski holidays this year and it’s time to plan for next year already! We have always aimed to keep our holidays fun, friendly and as personal as possible, which is how we enjoy running them. Clearly by the number of return guests we get each winter, this is something that people enjoy about coming to Zakopane. The flip side to this is that return guests tend to book in early! If you’re new to skiing in Poland and would like to join us on the slopes in and around Zakopane next winter then now is the time to get in touch and find out more about what we can offer you for your next ski holiday. Ski and Snowboard Holiday Packages in Zakopane! Flick through our site, take a look at all the information on skiing and snowboarding in Zakopane and the holiday packages we offer. We have been running trips to Poland for over 10 years now so there’s not much we can’t help you with in this beautiful area of the world. If you’re looking to ski then why not jump straight to our “Gold Package” holidays page as a starting point. If there’s anything you can’t find or if there’s anything you’d like to know a little more about just give us a call or send us an e-mail and we’ll get back to you. 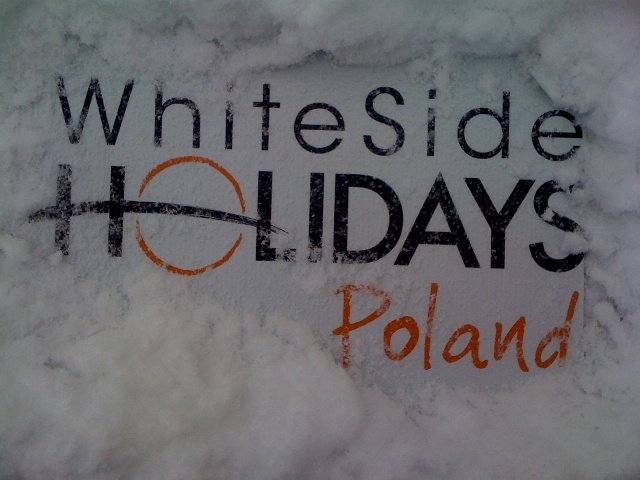 Come and ski Zakopane with us! The snowpark on top of the Gubałowka foothills in Zakopane improves year after year. This year the Goobaya team have gone one better than simply improving the features, they have managed to negotiate taking over the whole ski area on Gubałowka, doubling the size of the snow park. The increased size means there will now be a whole area dedicated solely to being a snow park in Zakopane with enough space for beginner, intermediate and expert lines through the park. We’re sure they’ll have some exciting new ideas up their sleeves to make the best possible use of the new space, we can’t wait to get up there on opening day, which has been announced as 17th December! 2016/17 Ski Season in Poland Begins! 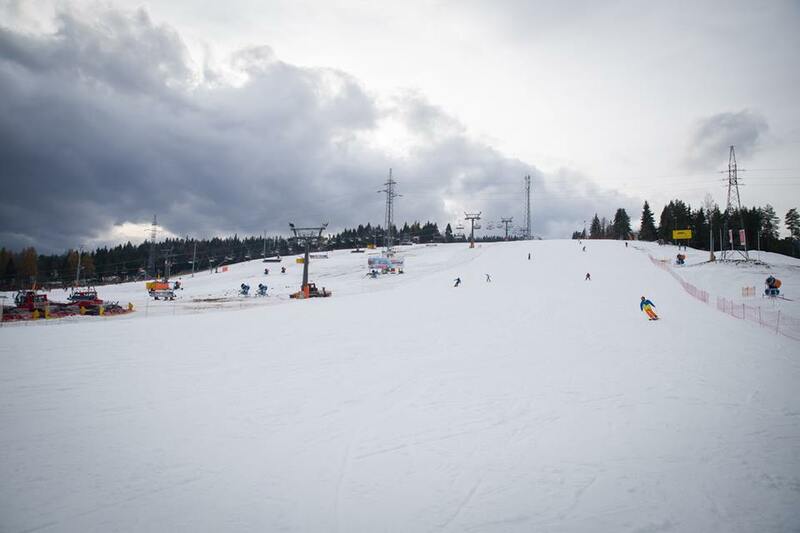 Yesterday (19th November) saw the first ski slopes in Poland open for winter 2016/17. It’s unusually early for the slopes to be open, but thanks to the snowfall early in November and freezing temperatures allowing the snow cannons to operate, the season has begun! All of the ski areas in and around Zakopane have been blasting snow recently and things are looking promising for everything to open on time in a few weeks, however, Bialka beat everyone to it and opened up their first slopes this weekend! Only 2 slopes were open but it’s great to see how the world class snow making facilities are put to such good use allowing people to get skiing so early! 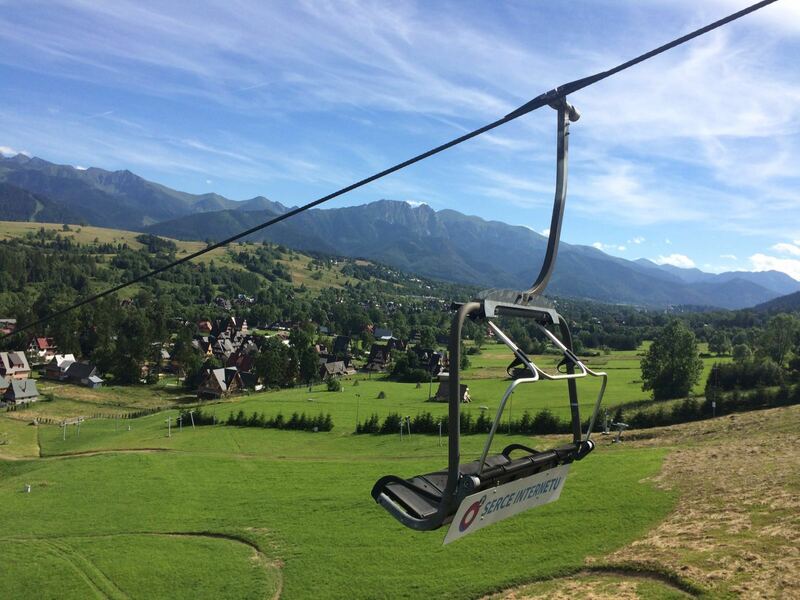 We can’t wait to see our first holiday guests in Zakopane now! This year the ski jumping world cup event will take place in Zakopane the weekend of the 20th – 22nd January 2017. It’s not very often you get a chance to see such a spectacular event other than on the TV, so if you fancy a long weekend skiing, snowboarding and watching the the ski jumping live, then get in touch soon. Zakopane is full of people when the ski jump comes to town so accommodation needs booking early. Red and white flags, banners, scarves, horns, t-shirts, you name it, you’ll see it that weekend! Tickets start at just £6 for watching the qualification rounds on the Friday to £15 for a ticket to the finals on Saturday afternoon. Add that in to a great value skiing break and you’ve got a fantastic weekend to look forward to! With scenic country roads winding around Zakopane and through this region of Poland, we have been toying with the idea of running road cycling holidays for a number of years. In early September we finally took the plunge, running our first cycling holiday for a “trial group”. The week was a great success in terms of the routes cycled, the quality of the roads and the time of year. The trial week was the final piece of the jigsaw and White Side Holidays Poland are now offering cycling holiday packages to Zakopane. We are aiming our cycling holidays at regular cyclists who are fit and up for a testing week in the saddle. The undulating roads in this region of Poland and Northern Slovakia are challenging, but we have a variety of routes lined up that can be enjoyed at your own pace. If you, or your friends and family are keen cyclists, then take a look at our new site or share it around, a fun week awaits! Skiers and snowboarders from worldwide! An updated list. Since we started White Side Holidays Poland we’ve mainly aimed our ski and snowboard holiday packages in Zakopane at people from the UK. We have family links to both countries and this was the original idea, to bring people from the UK over to Poland for skiing and snowboarding. However, we’ve been keeping a list of countries from where our guests have actually flown/driven from in order to enjoy our winter ski holiday experiences here in Zakopane. Not just a list of where our guests were born but where they’ve actually travelled from to ski in Zakopane. The list now covers skiers and snowboarders from 25 countries worldwide and counting! Guests who have never seen snow before, guests who have never seen mountains before, guests who have old family ties to Poland, guests who work with Polish people, guests who want to tick ski resorts off their lists, we genuinely love meeting all of our guests from far and wide and it truly is one on the best parts of our work. We look forward to adding more countries to the list! 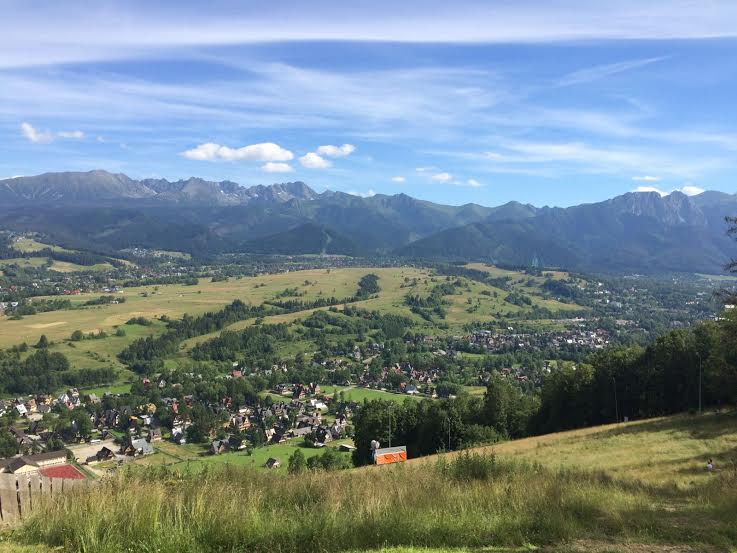 As we are now in to the middle of the Summer season in Zakopane we thought we would share a quick post on Zakopane in the summer time and a couple of photos of it looking green and full of life as opposed to our usual Winter posts where things are just white (most the time!). Zakopane in the Summer is a busy place, often even more busy than the Winter time. The number of people in town tends to be more noticeable in the Summer as everybody is usually out hiking, biking, standing around waiting for buses to set off on a day trip or roaming around Krupowki (the main street running through town) throughout the whole day as opposed to during the ski season when people leave to the slopes in the morning and then are too tired to show their faces in town later on, never a problem for our guests! The hiking in the Tatra Mountains is the big draw for Summer guests though. You can take anything from a steady 45 minute stroll through a valley to days trekking the mountains with overnight stays in shelters. As with off piste skiing in the Winter, mountain biking in the mountains is strictly prohibited near Zakopane, however, there are great biking routes for both road bikes and mountain bikes to be found in and around the lower hills. We have a group coming over in September to trail a road biking holiday with White Side Holidays, which we will post about later in the year. They may not quite be the same level as Team Sky but we are sure even Chris Froome would love cycling round the Tatras. Away from the more active pursuits on offer there are outdoor seating areas at every bar and restaurant in town, perfect for some relaxed people watching, the hot pools (they have cooler pools as well) are all open daily with plenty of sun loungers and all the parks and view points are lined with benches so you can sit back and enjoy the scenery. 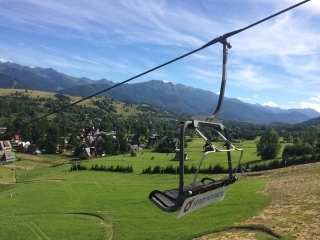 Whilst our Summer operations are currently limited to specifically organised group trips, if you would be interested in a package to Zakopane during the Summer months then by all means ask us any questions you may have and we will be able to help. Thanks for another great winter in Zakopane! Well, it’s that time of year again where we put the skis and snowboards away for the summer and pull the bikes out of the basement. Not our snowiest winter ever by a long shot, but thanks to the extensive snow making systems that are in place in Zakopane the winter was yet again a fun filled one from Christmas through until early April! 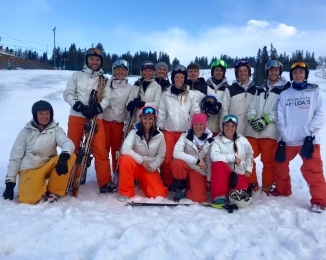 We enjoyed some fantastic days on the slopes once again this winter with all of our holiday guests, new and old. We’ve had radio presenters, arm wrestlers, chefs, explorers, a wonderful mix of guests yet again! Return guest numbers were up at around 65% this winter and as always it was a pleasure to see familiar faces out skiing with us as well as meeting plenty of new people, some of whom are already booked in for next winter. 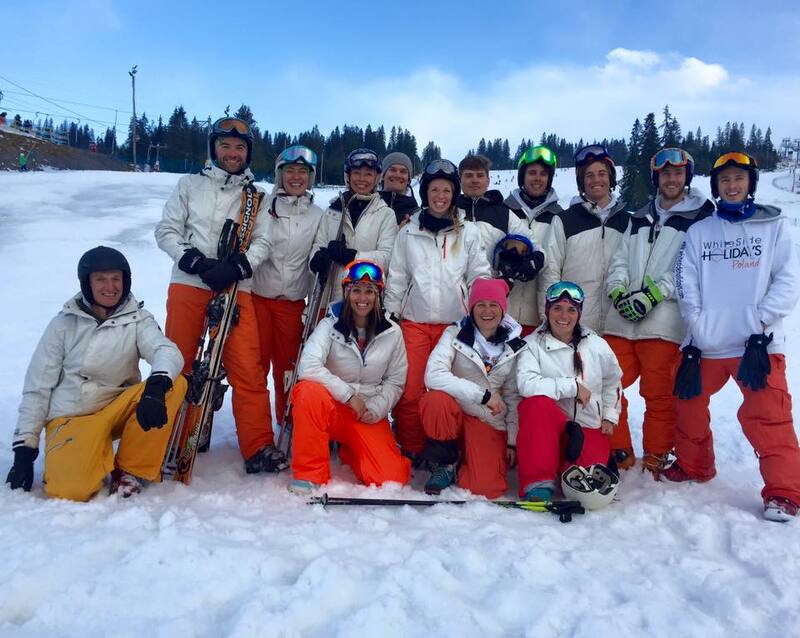 If you’re interested in coming to ski in Zakopane then take a look at our Early Bird Package deals that are available now (details here) for ski and snowboard holidays next winter. A big thank you to those of you who came to ski with us in Zakopane this season, we look forward to seeing some of you again next winter! Monika, Gaz, Ewa, Szymek, Lukasz, Little Ewa, Mikolaj, Pawel, Michal, Jan, Ewelina, Aga, Grzegorz, Scott and Magda!